OFFICIAL BOOK BLURB: The world of Lehbet is under siege. The threads that divide Lehbet from the mirror world of Heled are fraying, opening the way for an invasion by an alien enemy that feeds on human flesh. OVERVIEW/ANALYSIS: Teresa Frohock is a master of dark stories and creating worlds wherein the horrors aren’t quite easily visible but on a closer look we can see the decay within. 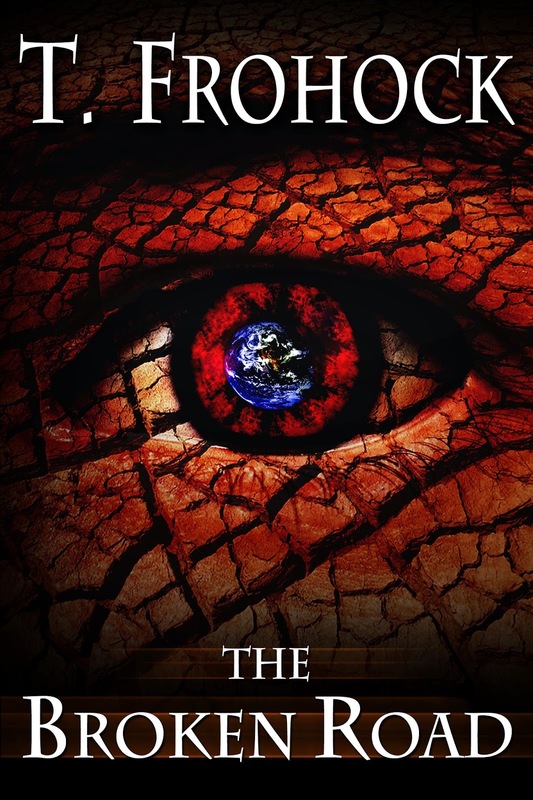 The Broken Road is the first book of the Frayed Empire series wherein the story opens up in the world of Lehbet. We are introduced to Prince Travys du Valois, the mute younger son of Queen Heloise, the ruler of the land of Lehbet. Travys is conflicted about the current state of affairs in their lands. The highborn called Chanteuse have the power to keep the lowborn safe but lately haven’t been doing that all too properly. This leads to class resentment and trouble that can’t be exactly classified. Travys alongwith his friend Marc du Namur tries to find out more but to no avail as his elder twin Josue doesn’t want anything to do with ruling. Travys is stunned when he hears plans of his betrothal; even more troublesome considering that he is gay. The actual story opens when Travys learns why it is all happening. He’s betrayed on almost all fronts and then has to learn why and what is happening. Unlike her previous works, there’s a strong mystery laced to the plot. The reader along with Travys is equally in the dark as to what is happening in the world of Lehbet. The author lays out certain clues about the nature of the world and then does her best to surprise the reader with the eventual reveals. I loved the pace of the story and all the twists that are ensconced within the story. Basically Teresa excels with the characterization as she very lucidly shows the class segregation set in the world of Lehbet. This story is very reminiscent of the class problems before the French revolution and the author doesn’t quite go that way but there are strong rumblings about the troubles ahead. There’s also the genre underpinning to the story as the author mixes several genres that make it a bit difficult to pin down. I’m not mentioning what exactly but by the end I wasn’t sure what to call is besides being a great, dark story. There’s also a cameo appearance by Paul Weimer that was fun to read about. I enjoyed the horror turn to the story which came as a big surprise and the way the story ends, you’ll want to find out what will happen next in Lehbet. CONCLUSION: The Broken Road is a novella that showcases how dark fantasy & horror can make an intense combination. Teresa Frohock's exquisite prose & fantastical world-building also make this novella a top-notch read! Don't miss this exciting story about love, betrayal, & the need to save the world.